WATCH: What would you do if John Lloyd Cruz suddenly held your hand? Netizens are amused with the viral video of John Lloyd Cruz inside a mall. 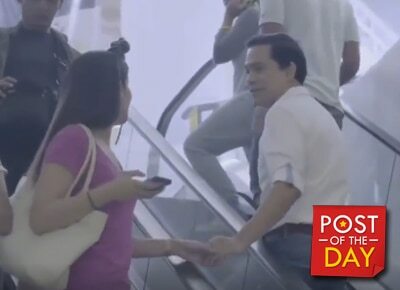 Saying the actor has ninja moves, John Lloyd was caught on cam riding an escalator and touching the hands of random women for an ad campaign. What if “Popoy” randomly touched your hands? Watch the girls’ reaction below.